The increasing costs of cancer drugs is pushing cancer doctors to evaluate the treatments they recommend to patients, including those with mesothelioma. Oncologists, doctors specializing in cancer diagnoses and treatments, are reconsideration drugs they recommend and are questioning the benefits of combined cancer therapies. Rising drug costs, smaller insurance reimbursement payments and more research showing the benefits of generic drugs are reasons for the widespread review by doctors, doctors told Reuters. For mesothelioma patients who often depend on chemotherapy drugs and combined therapies, this shifting perspective by doctors may affect the treatment options that will be provided. Mesothelioma is a rare cancer of the lining of the lungs caused by exposure to asbestos. Chemotherapy drugs for mesothelioma include Carboplatin, Cisplatin, Onconase, Pemetrexed and Gemcitabine. Express Scripts, a company that handles prescription drug benefits for employers, estimates spending on cancer drugs will rise nearly 20 percent a year, reaching approximately $173 billion by 2020. To ensure proper care of patients while avoiding high-care costs, some oncologists said they do not consider nontraditional payment methods from insurers, including being paid for the time spent on patient care instead of treatment and drug costs. This increases the amount of attention that each patient receives from their doctor. One company that decided to lower costs yet increasing a focus on care is Wilshire Oncology Medical Group. 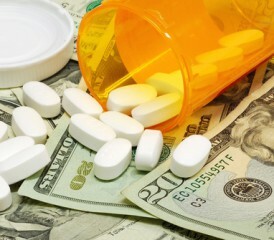 It partnered with a health insurer and is now being paid primarily for patient care instead of receiving brand-name drugs with marked-up price tags. Because of the traditional structure of insurance coverage and increasing treatment prices, doctors are often left on the hook with the financial burden. At a recent American Society of Clinical Oncology meeting, Dr. Linda Bosserman, president of Wilshire, said she noted the trend of drug company sales people visiting her office and leaving patient reimbursement coupons that cover co-pays of drugs with boosted costs. In certain cases, generic cancer drugs have been noted as being more effective to their brand-name counterparts, according to one research study through the American Society of Clinical Oncology. In some cases, patients get stuck with large treatment bills because insurance companies often cover just a fraction of the total expense. The average mesothelioma chemotherapy costs about $7,000 but can be as much as $30,000. Surgery costs can reach $40,000. If a patient needs combined treatments, expenses can soar. Radiation therapy and experimental treatment options also exist but can cost thousands a month. Clinical trials offer inexpensive treatment opportunities and mesothelioma patients can find relevant studies through The Mesothelioma Center clinical trial list. Insurance companies, doctors and patients all have a shared role in adjusting the way cancer treatment is considered and recent discussions of the problem open the door for real reform. For example, Bosserman designates her goal as continuously sitting with drug manufacturers as new drugs come out and working to bring cancer drug prices down. This potential change could bring relief to doctors and cancer patients alike.